On this tour you have more time to discover the sights of the Mekong Delta and enjoy the river life. You can visit two famous floating markets of Cai Rang and Cai Be. On several land excursions you have the chance to see local handicraft production, colorful brick kilns, opulent orchards and peaceful villages. Take an excursion with a small rowing Sampan or a short bike trip to explore the small side canals of the mighty Mekong river. This tour is available with the wooden cruise vessels Mekong Eyes (14 cabins), the exclusive Dragon Eyes (2 cabins) or the private house boat Gecko Eyes. Our cruise boat tours leave from Can Tho to Cai Be (on odd dates, e. g. Sept 1, 3, 5, 7 etc.) or from Cai Be to Can Tho (on even dates, e. g. Sept. 2, 4, 6, 8 etc.). Daily departures. The Gecko Eyes has no set departures. If you are staying in Saigon, we will pick you up at your hotel (district 1 and parts of district 3) and will take you back there after the end of the Mekong Delta cruise tour. The drive to / from Cai Be takes about 2 hours, to / from Can Tho approx. 4 hours. In the morning we take you to Can Tho or Cai Be. You board your comfortable wooden river cruise vessel around noon. After a refreshing welcome drink we show you our on-board facilities and your cosy cabin. As lunch is served, the boat starts cruising. Sit back and watch the fantastic scenery and the daily life of the Mekong people. Get back on board and enjoy a drink at the bar or relax on deck as the sun sets over the magnificent water landscape of the Mekong river. The cruise boat will anchor for the night. The day ends with a delicious on-board dinner. You stay overnight on board your floating hotel in the Mekong Delta. Wake up well rested to the sound of the river and get ready for another exciting day of sightseeing in the Mekong Delta. At 6.30h the cruise vessel sets off for a sunrise cruise. Watch the locals go about their daily work drying exotic fruits and building ships on the wooden yards while enjoying an early breakfast. After breakfast, we will board a sampan boat to Cai Be or Cai Rang floating market, the region’s busiest and most lively markets. Marvel at the sheer abundance of exotic fruits, vegetables and skilfully handcrafted regional products. We will pull up to the boats for talking and bargaining with the merchants. We will also visit some of the local candy and cake making factories or boat through the green water landscape to see local houses, verdant orchards and ship-building yards. After brunch on board (Can Tho) or lunch at Mekong Rest Stop near My Tho we will take you back your hotel in Saigon. In the morning we pick you up at your hotel in Saigon and take you to Can Tho or Cai Be. You board your wooden river cruise vessel around noon. After a refreshing welcome drink we show you our on-board facilities and your cosy cabin. As lunch is served, the boat starts cruising. Sit back and watch the fantastic scenery and the daily life of the Mekong people. If you book this tour on our Gecko Eyes house boat, you will visit the forest of Xeo Quyt on the first day. During the Vietnam war this jungle was the headquarters of the local partisans. During rainy season when the water levels are high enough you can explore the labyrinth by rowing sampan. In the afternoon you will visit the small and charming town of Sa Dec.
After breakfast, we will board a sampan boat to Cai Be or Cai Rang floating market, the region’s busiest and most lively markets. Marvel at the sheer abundance of exotic fruits and vegetables. We will pull up to the boats for talking and bargaining with the merchants. We will also visit some of the local candy and cake making factories or boat through the green water landscape to see local houses, verdant orchards and ship-building yards. Later in the morning your can boat through the green water landscape on a little rowing sampan to see local houses, verdant orchards and ship-building yards. 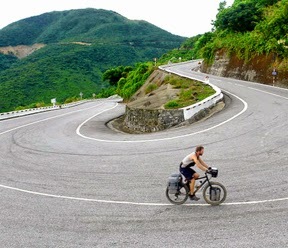 Alternatively you can discover the nearby town by foot or explore the small side canals of the Mekong river on a bicycle. The cruise boat then resumes its journey as lunch is served. In the afternoon there will be another side trip to one of the exotic villages along the way. Gecko Eyes: visit of the morning market in Sa Dec. If you like you can go shopping with the chef and take part in a cooking lesson on board. Once the boat resumes its journey, you travel through small channels towards Can Tho (or Cai Be). In the afternoon there is the option of a land excursion either by bicycle or on foot and visit of a small village, a stroll through orchards, or a cooking class. After breakfast and an early start through the glorious morning atmosphere on the Mekong river we will visit another floating market. Be sure not to miss the great photo opportunities for authentic snapshots of the Mekong people and their life. Take another sampan side trip right into the lush rural landscape, the fertile fields, the exuberant green. Then it’s time to pack up and return to the pier from which we started. The Mekong Delta cruise boat tour ends at around 11.00 — 11.30h on the pier. After brunch on board (Can Tho) or lunch at Mekong Rest Stop near My Tho we will take you back your hotel in Saigon. Shuttle bus to Mekong Eyes and Dragon Eyes US$ 36/person.